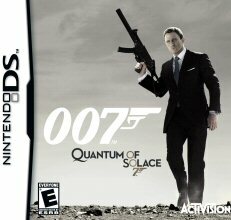 Activision are giving away copies of the their first 007 title "Quantum of Solace: The Game" for Nintendo DS to lucky MI6 readers. James Bond is back to settle the score in the Quantum of Solace™ game. Introducing a more lethal and cunningly efficient Bond, the game blends intense action with a unique combat system for the Nintendo DS™ that allows players to use their stealth and lethal combat skills to progress through missions. Seamlessly blending the heart-pounding action and excitement of the upcoming “Quantum of Solace” feature film with the “Casino Royale” movie, the title propels players into the cinematic experience of international espionage. 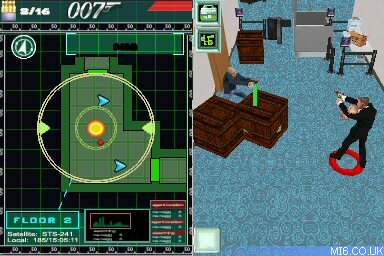 The Quantum of Solace game for the Nintendo DS gives players a unique experience in the palm of their hands, as they use an innovative touch screen control scheme that gives players the feeling of being James Bond. Above: Screenshot from the Nintendo DS version. 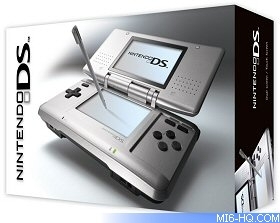 In total, how many 007 licenced games have been released for the Nintendo DS? The competition closes at midnight GMT on 12th February 2009. MI6 will choose the winners at random from the correct answers received. The winners will be contacted via the email address supplied and their postal address will be requested. If a winner fails to respond within 7 days of prize notification, another winner will be chosen until all prizes are allotted. Competition is open to US, Canada, Mexico and Latin America based MI6 readers.